<例1> Most mechanical equipment uses gears. <例2> In the future, all electronic equipment will be connected to the Internet. <例1> A sudden increase in pressure may damage the apparatus. <例1> You cannot dispose of these household appliances in this community. <例2> For safety, do not use too many appliances at the same time. <例1> A switch is a device for turning electricity on and off. <例2> Valves are devices used to control the flow of a gas or a liquid. <例1> In a digital audio system, all audio signals are converted to digital signals. <例2> A computer system consists of a central processing unit, storage media, and I/O devices. <例1> A machine is a device that transforms energy from one form to another. <例2> When we entered the building, we saw big machines in motion. <例> The system comprises at least one drilling unit. <例> A thermometer is an instrument for measuring temperature. 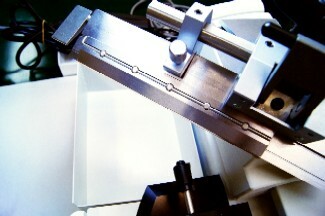 <例> The precision of cutting tools is getting better and better. <例> Some incineration facilities use garbage to generate electric power.